Trying to put on muscle is harder than it sounds. Lean protein consumption is critical to muscle growth – steak, chicken, fish, but as we all know, there only so much of it you can cram in your mouth-hole at a time without feeling like you are being tortured for secret government information. 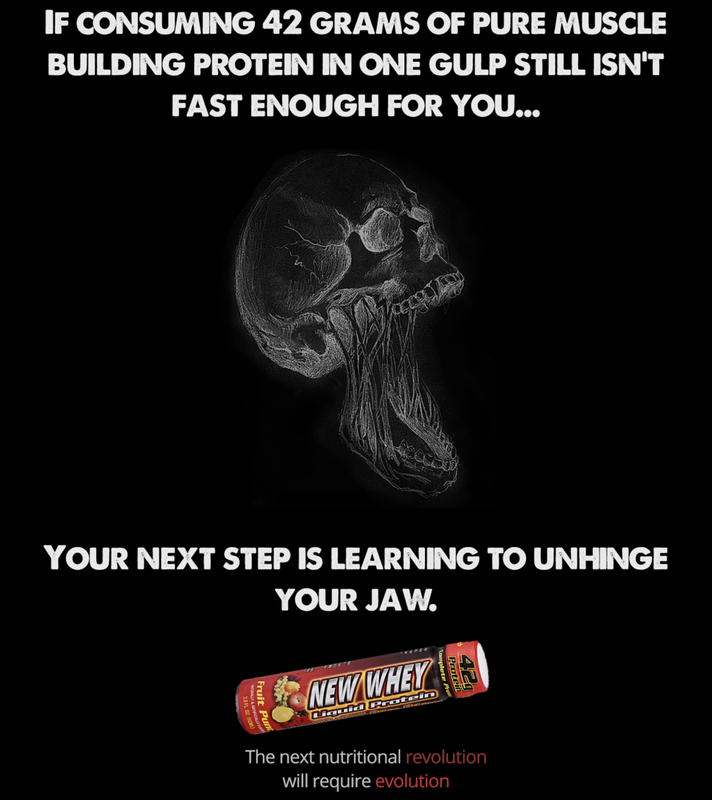 New Whey Liquid Protein is the most complete and convenient source of liquid protein on the market. With a unique breakthrough formula that provides your body with maximum nutritional benefits. A 3.8 ounce tube that literally fits in your sock, packs 42 grams of whey protein, comes in a variety of flavors, and goes down in one gulp, with no sugars, carbs, or fat. Fill your gaps between meals with two of these and add 85 calories of pure protein to your regimen. Bring on the gains!